I hope everyone had a nice weekend! Kevin and I have been in Scottsdale for 3 weeks now, and we are just starting to settle in. I forgot how much work moving is, let alone moving across the country! There are so many things you don’t think of like getting new licenses and license plates, finding the best grocery store in town, and Kevin’s favorite – hanging up all of our pictures on the walls in our apartment. 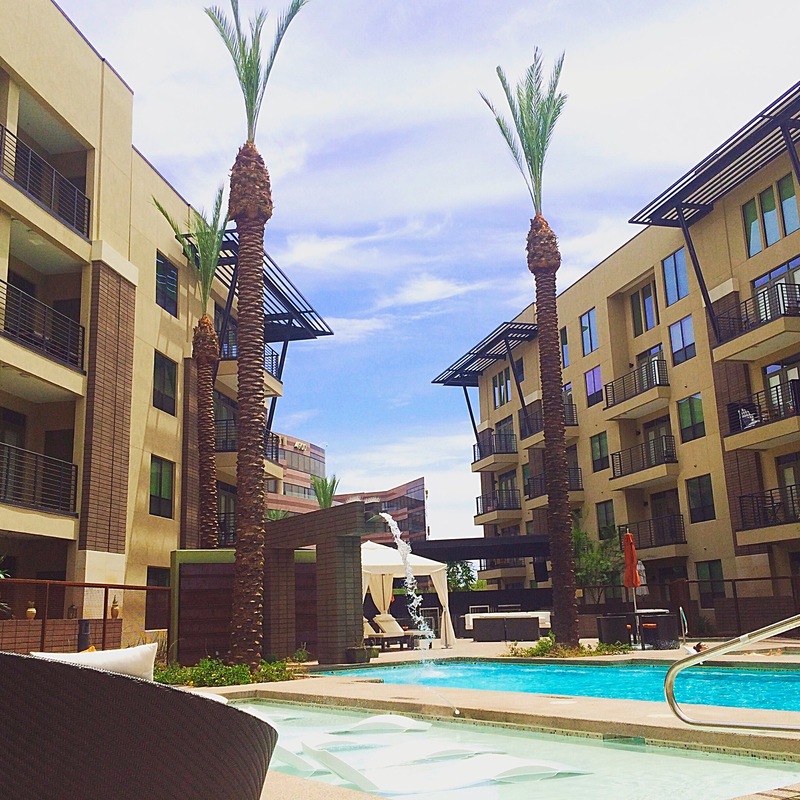 We are loving the new apartment and pool! Other than the stress of the move, we’re really enjoying the area. Kevin has been getting out of work earlier, which allows us to make some great dinners together and we’ve taken a couple of night rides to check out our surroundings. It’s been over 100 degrees every day, which is what we expected. Although it’s super hot it’s bearable since there’s very little humidity. So far we really like our apartment complex. We spent last Saturday lounging in the pool, and have found ourselves using the community grills regularly to cook up some yummy kabobs and turkey burgers. We’ve also been trying out some new restaurants, and I’ve already found a couple great places for ice cream! Kev loves his new mustang. 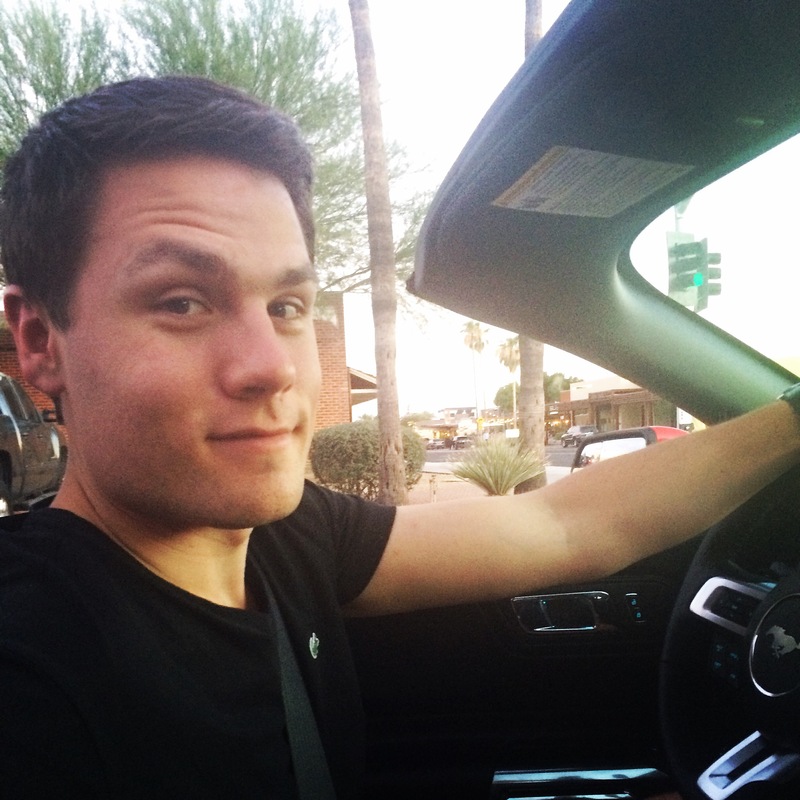 We’ve been cruising around with the top down even with the heat! In other exciting news, I recently accepted a new position at a local advertising agency! I’ve been working for my company in Chicago remotely since we moved, and I’m excited to start my new job in a couple weeks. It will be nice to get out of the house and meet some new people, and I’m excited to expand my skill set and explore the market here. When we decided to move to Arizona, one thing we were really excited for was hiking and spending more time outdoors. 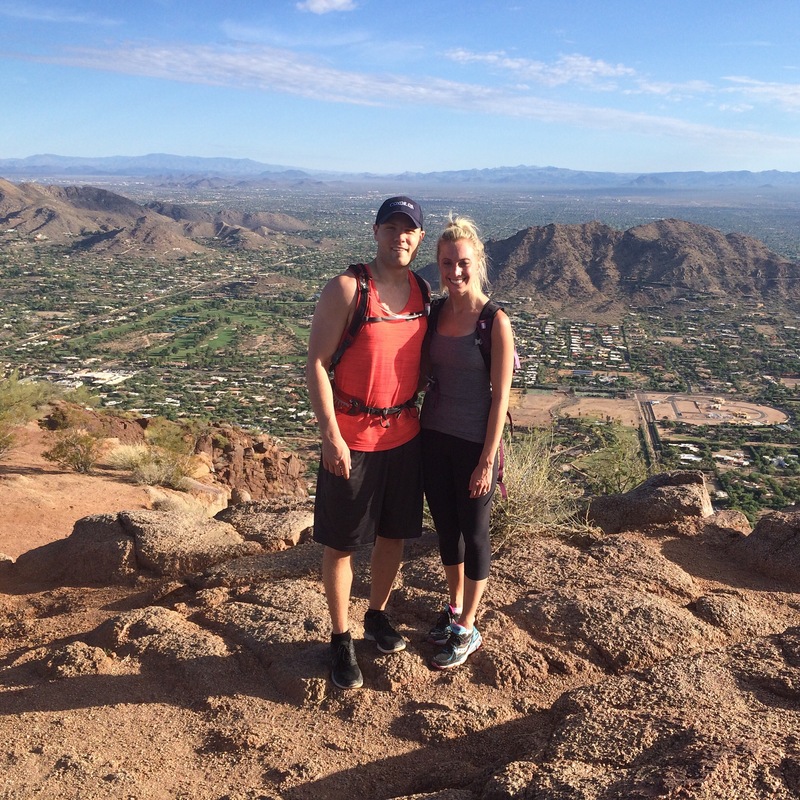 This past weekend Kevin and I were able to do some hiking as we took on Camelback Mountain for the first time. It was a beautiful morning hike and a great workout. We started hiking at 6am to try and beat the heat, and it was almost 100 degrees by the time we finished. The top was the scariest part, as you had to scramble up with your hands. I’m not the biggest fan of heights, but the view from the top was definetly worth it! We rewarded ourselves with some delicious breakfast once we reached the bottom. We are looking forward to hiking the other side of the mountain soon! View from the top of the Cholla trail at 2704 ft.
I’ll keep you posted as we continue to become familiar with our new home!